Unique and handmade silver earring. It's an ear pin with a MATT ROCK CRYSTAL drop. These earrings, you can wear on a party, but also perfect for everyday! 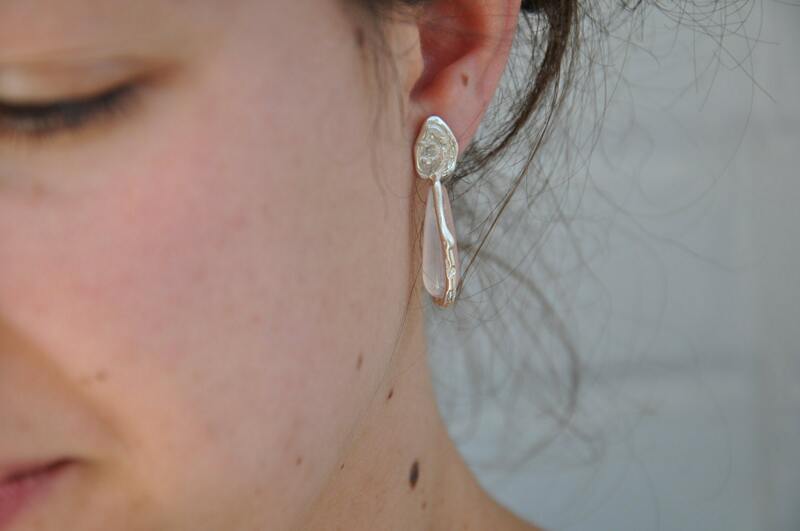 The earrings are made by lost wax technique, it's full sterling silver. 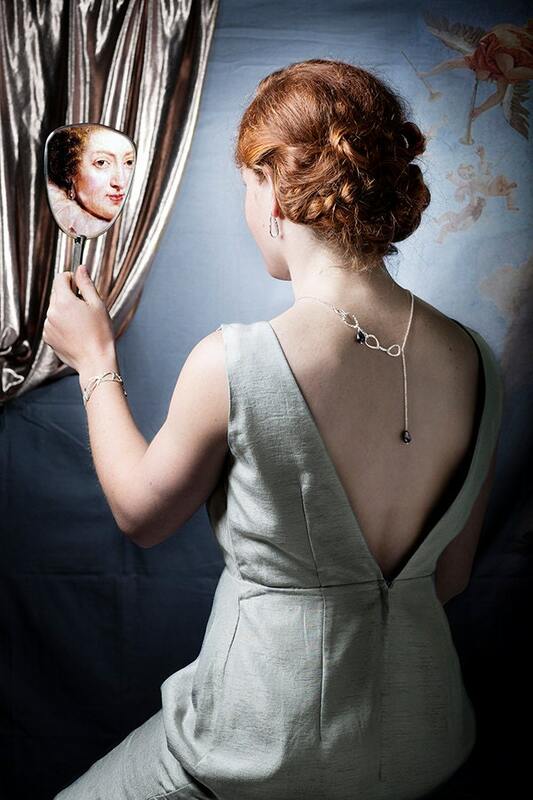 The earrings are basted on the shape of Baroque Pearl earrings. 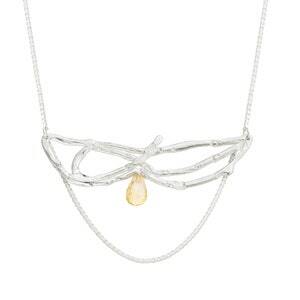 To give the earrings a modern vibe they are combined with a natural crystal drop. 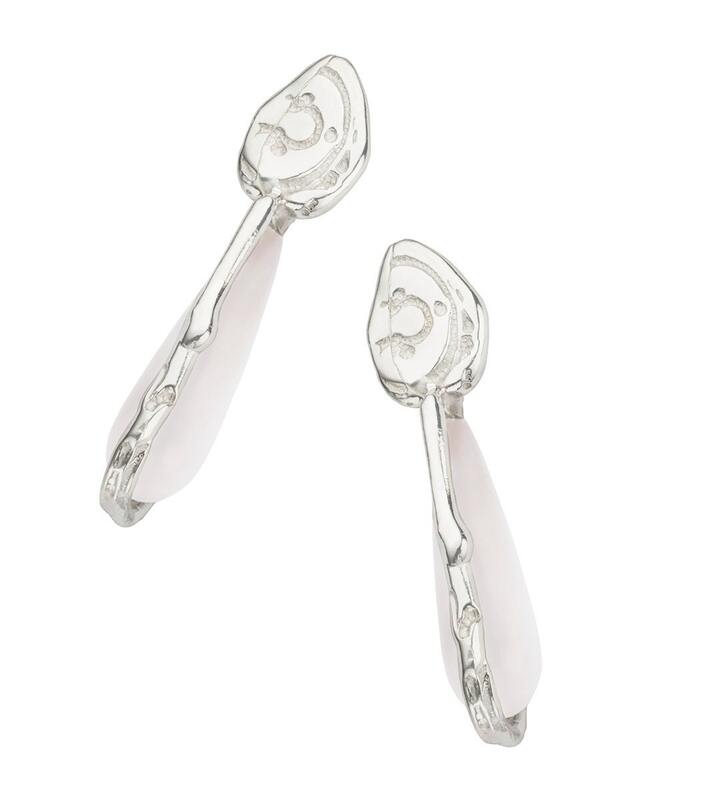 This unique pair of earrings are completely made in Sterling silver. Handmade just to beng your ears. If you would like to have an other precious stone that is more perfect for you, don't hesitate to ask! The earrings are also possible in 14K or 18K Gold. Don't hesitate to ask me for prices or custom made orders! 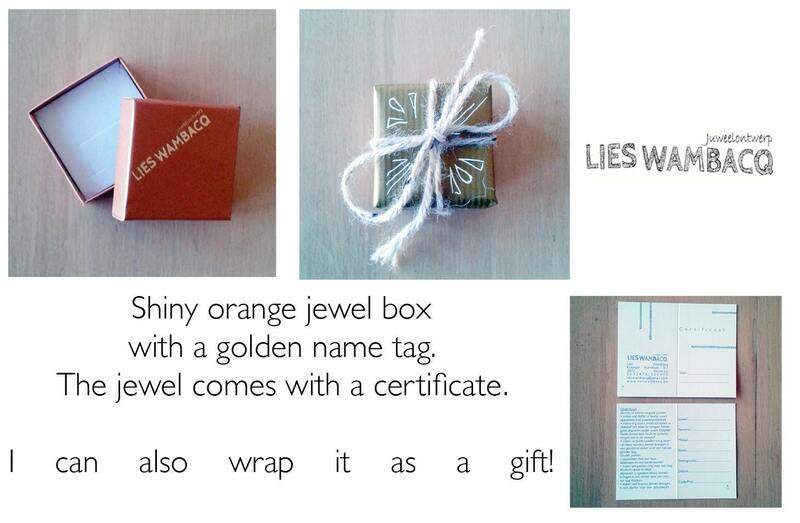 I will send it in a beautiful orange jewel box with a certificate. If you like I can pack it as a gift! 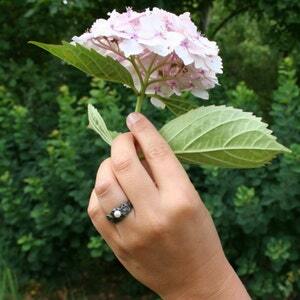 It's possible to make a ring, bracelet, necklace,... in your size. Just ask, I will help you te determinate the right size!. 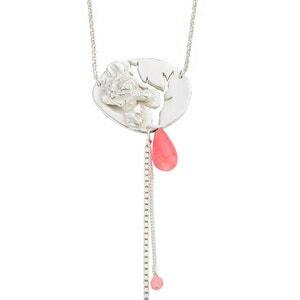 Sale: 149 - 50%= 74,5 Rose pendant with pink coral. 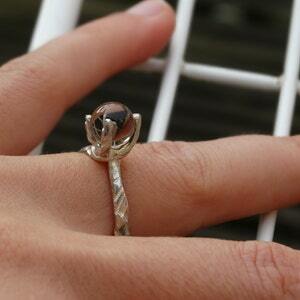 Sale: 135 - 50% = 67,5 Silver black ring with pearl.